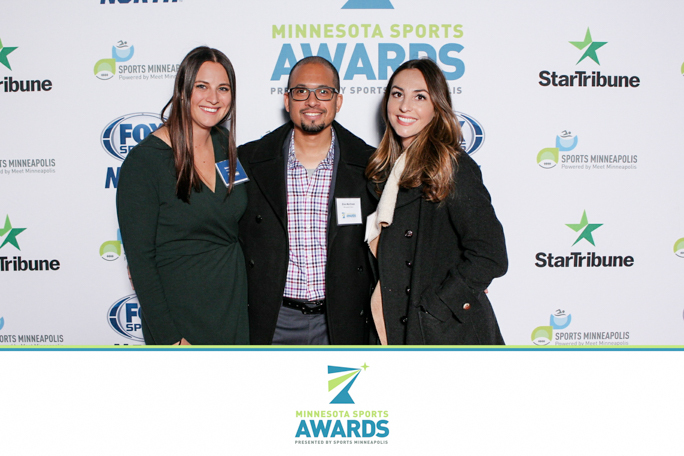 On October 24th, the second annual Minnesota Sports Awards was held in Minneapolis. It was also our second year at the event, where we captured the fun by providing our red carpet photography with printing. 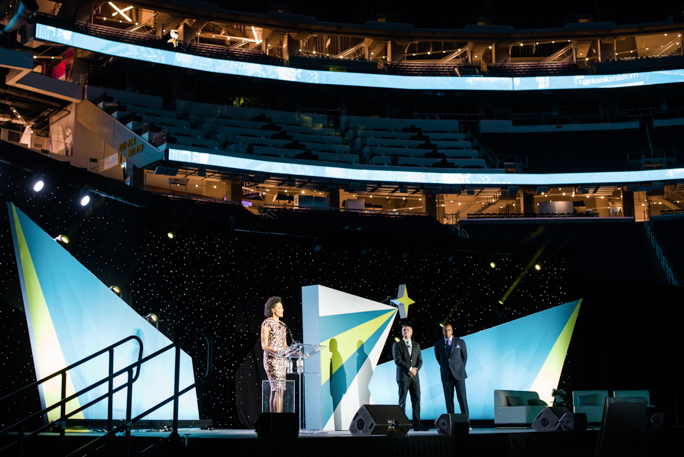 Held at U.S. Bank Stadium, the 2018 Minnesota Sports Awards honored high school, college, and professional athletes in the North Star State. 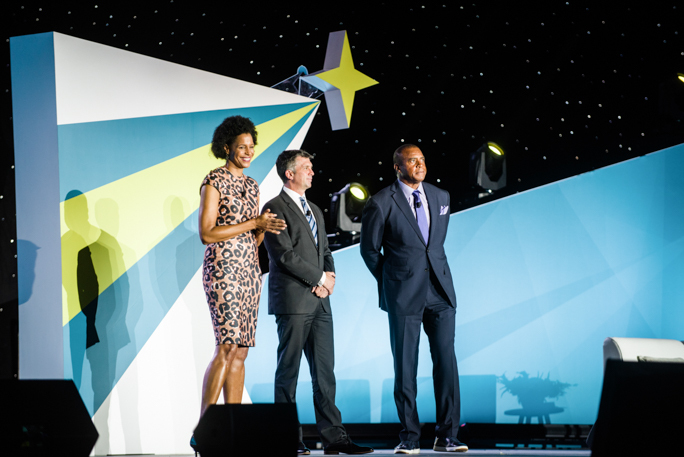 Hosts for the Sports Awards were FOX Sports North anchor Anthony LaPanta, NFL legend Ahmad Rashad, and Rethink The Win founder Lea B. Olson. We set up our red carpet photography right by the registration area. When guests first arrived, they could have their picture taken straight away, before they started to mingle. 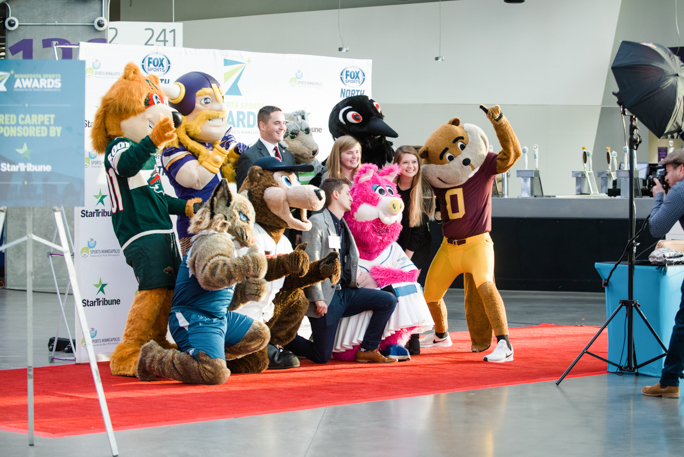 Guests could opt to pose by themselves, with friends, or even squeeze in next to mascots like Goldy Gopher or the Wild’s Nordy. Besides red carpet photography, we also provided our hashtag printing services. 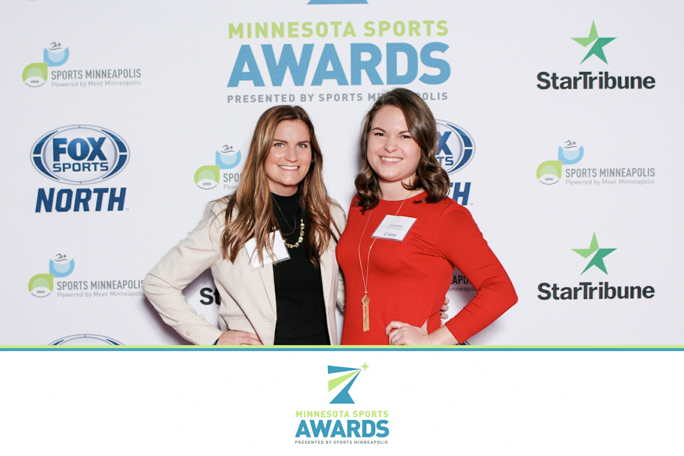 Both before and at the Sports Awards, social media users tagged their photos with #mnsportsawards. At the event, our hashtag printer automatically printed all tagged photos. 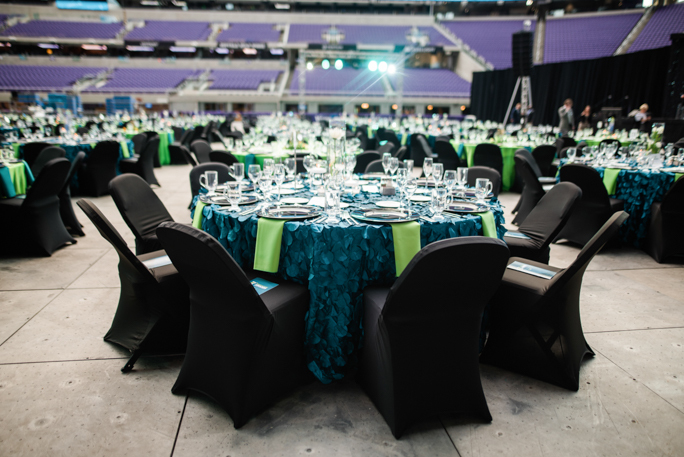 Our event photography rounded out the trio of professional photography services we provided this year. We can’t wait to go back next year! 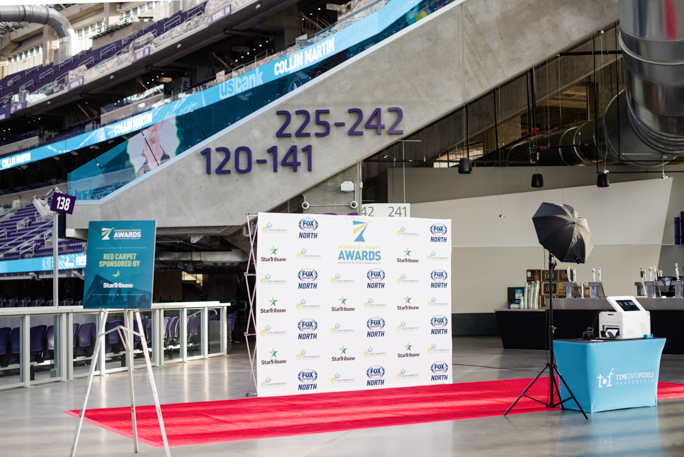 Time Into Pixels can elevate your next formal event with red carpet photography with live printing. 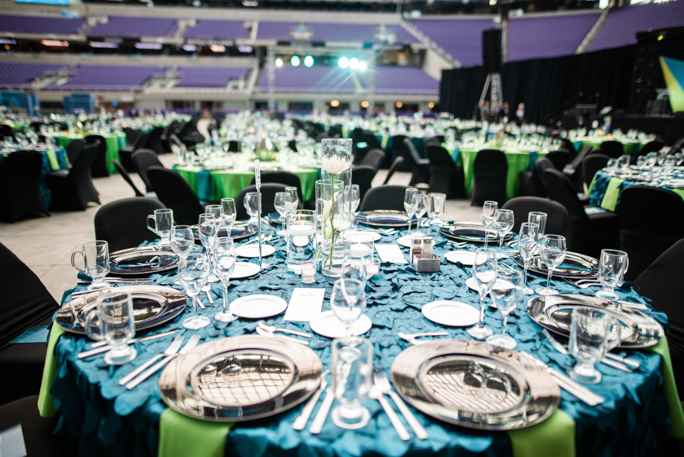 With the ubiquity of smartphones, there will never be a shortage of digital photos from your event. But how many of those candid photos will actually be printed? 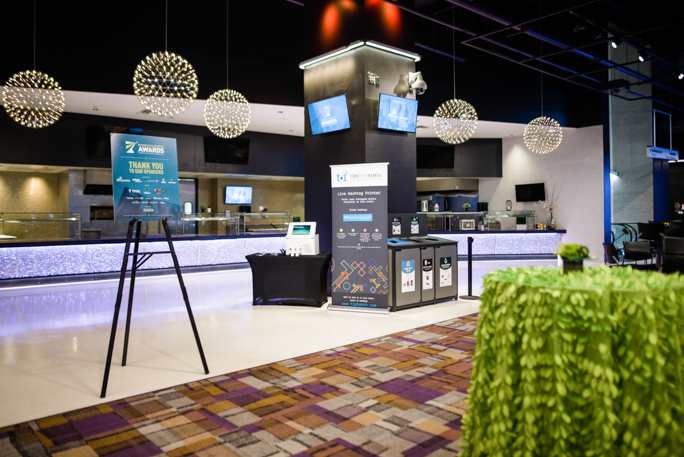 With our professional live printing capabilities, the red carpet photos are available immediately, and your guests will leave with their pictures in hand. For increased brand awareness, we can customize our live prints by adding the logo of your choice. 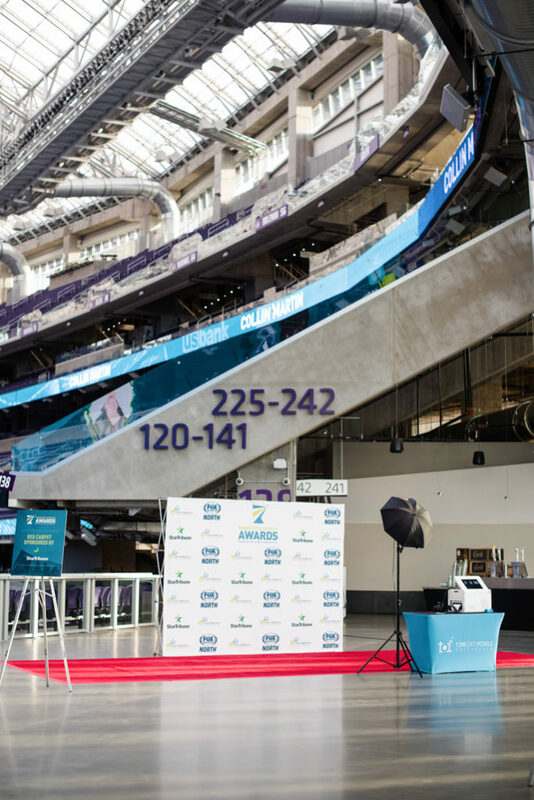 When you take your event to the next level with our red carpet photography, your guests will leave not only with fun memories but also a personal memento.